Home Columns Into the Fray / Dr. Martin Sherman INTO THE FRAY: Generals in Israeli Politics: Pinnacle of Perversity? INTO THE FRAY: Generals in Israeli Politics: Pinnacle of Perversity? “It would be so nice if something made sense for a change.” – Alice in Wonderland. Little could have reflected the perversity of politics in Israel more than the ten minute prime-time interview with former Prime Minister and IDF chief-of-staff, Lt. Gen. (res.) Ehud Barak on Wednesday (January 16, 2019). It was a noxious brew of duplicity and hypocrisy, in which Barak launched into a blistering diatribe against the incumbent Prime Minister, Benjamin Netanyahu—beginning with the wildly implausible accusation that he was somehow to blame for the recent scandal involving the head of the Israel Bar Association for allegedly accepting sexual favors in return for advancing judicial appointments. Indeed, it is curious that Barak should be given such media prominence in light of his largely disastrous foray into politics—or why his views should have any sway with the electorate. He was, after all—arguably—Israel’s most failed prime minister and—inarguably—its shortest serving one, being unceremoniously ejected from office by the voters after barely 18 months. Thus, one might be excused for entertaining the cynical doubt that, had he been about to warmly commend, rather than viciously condemn Netanyahu, he would never have been afforded such generous media exposure. But apart from the gall of his toxic tirade against Netanyahu, who has been repeatedly re-elected by the very voters who rejected Barak, and who has served consecutively longer than any other prime minister to date—with less than 200 days between him and David Ben Gurion’s record for the longest overall accumulated incumbency—there is the jarring hypocrisy of his recriminations. After all, Barak served for a good number of years under Netanyahu, first within the Labor party (2009-2011), and then in his breakaway Independence party (2011-2013), which he formed with the explicit purpose of remaining in the Netanyahu-led coalition, after Labor decided to quit it. Moreover, it is unlikely that anyone familiar with the Israeli political system could doubt that if Barak’s Independence faction had any chance of winning enough votes to cross the minimum threshold required to enter the Knesset, he would have continued to participate in a Netanyahu-led coalition! Yet today, perhaps smarting under the insult of rejection by the public and his own political failure, Barak has embarked on an incendiary campaign to besmirch the elected government of the country—in which he himself served—that is pure manna from heaven for Israel’s most vehement detractors. Indeed, it is difficult to think of any of Israel’s external critics, who have expressed harsher or more derogatory accusations against the Jewish state than Barak himself. Indeed, Israel’s enemies need to do nothing more than to quote his venomous invective to prove their claims as to the nefarious nature of the brutal, corrupt, and racist “Zionist entity”. But more about Barak and his disastrous debacles a little later. Throughout Israel’s short history, former generals have been a highly sought after commodity by political parties. Although prima facie this may appear a logical—perhaps even obvious—desire, a brief glance at the political performance in the past few decades should suffice to cast considerable doubt as to the political acumen and value of former generals. Indeed, as a general rule, on entering Israeli politics, senior military and security figures have played a troubling role, which has—almost uniformly—proved disastrous, both for the country and/or for themselves. Overall, there have been two categories of generals that have entered politics in Israel: (a) Those who have managed to attain the highest political office of Prime Minister—and wrought disaster on the nation; and (b) those who did not—and were chewn up, and ignominiously spewed out of the political system—often with their reputations mauled. In the latter category, we find former IDF Chief-of-Staff and Defense Minister Shaul Mofaz, who was forced into humiliating political retirement when it was clear that his Kadima list (once the largest in the Knesset) would not get enough votes to pass the threshold for election, and no other party was prepared to offer him a realistic spot on its list. Other names that spring to mind in the lengthy list of unimpressive performances by the top brass in politics include Maj.-Gen. (res.) Danny Yatom, former head of the Mossad; V.-Adm. (res.) Ami Ayalon, former commander of the navy and head of the Shin Bet; the lackluster former Chief-of-Staff, the late Lt.-Gen. (res.) Amnon Lipkin-Shahak; Maj.-Gen. (res.) 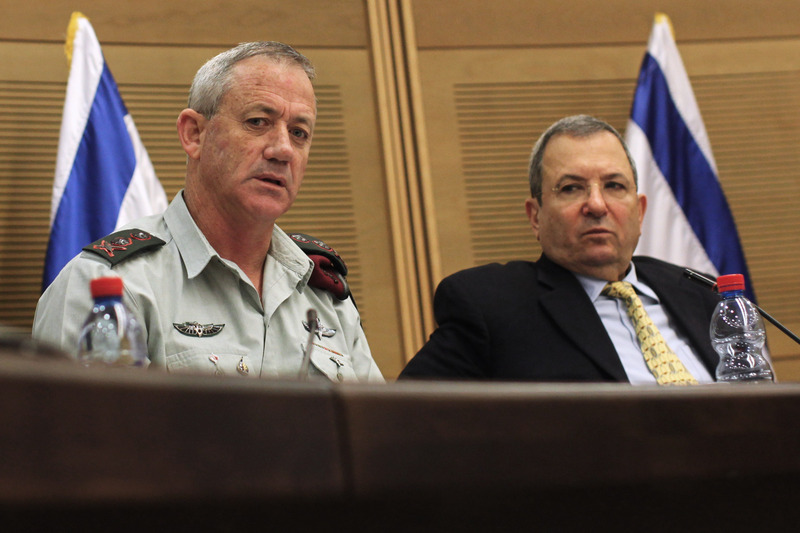 Amram Mitzna, former head of Central Command; and the hapless Maj.-Gen. (res.) Yitzhak Mordechai, former head of Southern Command and later defense minister, who left public life under a cloud of sexual scandal. With regard to the former category—those ex-generals who have become prime minister—the record is, without exception, dismal. From Yitzhak Rabin through Ariel Sharon to Ehud Barak, each and everyone has left a dismaying heritage of disaster. Thus, Yitzhak Rabin, despite grave misgivings, capitulated to pressures from his party’s Left wing, and ushered in the Oslo Accords, that left Israel’s streets, cafes and buses awash in blood and body parts; allowed the arch-terrorist Yasser Arafat and his cronies to return triumphantly to Gaza; and for hostile armed militias to deploy within mortar range of the nation’s parliament. Ariel Sharon abandoned the Gaza Strip, a measure he once vehemently opposed, precipitating all the perils he foresaw and of which he warned, while forcefully expelling thousands of productive, loyal Israeli citizens, to turn their homes over to savage hordes, who ravaged everything and anything left behind. Then, of course, came Ehud Barak, billed as “Israel’s most decorated soldier,” portrayed as a rare combination of James Bond, Baruch Spinoza and Albert Einstein, and heralded as the great “white hope” of Israeli politics—a hope that was soon to be dashed. Swept along by the halo of his military glory, Barak was quickly elected prime minister—and disaster soon followed hard on the heels of disaster. Thankfully, he was forced out of office after little more than a year-and-a-half, but not before ordering the ignominious, unilateral flight of the IDF from South Lebanon in 2000; surrendering the area to Hezbollah; consenting – or rather capitulating – to the far-reaching concessions of the Clinton Parameters; and failing to contain the violence of the Second Intifada—that erupted despite his willingness to accept virtually all Palestinian demands. Thus without exception, all these generals-turned-prime ministers have facilitated the transformation of what were troublesome terrorist nuisances into grave strategic threats. Yet despite this depressing record, generals still appear to be “flavor of the month” in the upcoming election. More than ever, top military figures are crowding into the 2019 race for the Knesset. Two former chiefs-of-staff have set up their own parties, Bennie Gantz, whose Israel’s Resilience party is polling well, and Moshe “Bogey” Ya’alon, whose Telem party, is not. A third, Gabi Ashkenazi, is rumored as being on the cusp of throwing his hat into the ring—but as to with whom, little is known. Earlier this month, another well-known ex-general, Yom-Tov Samia, former head of Southern Command, who recently left the Zionist Union, announced he was about to set up a new—allegedly left-leaning—party. Two other generals have joined existing parties, Yoav Galant, former head of Southern Command, who recently left the Kulanu list to join the Likud, and Orna Barbivai, former head of IDF’s Manpower Directorate and the first woman to serve in the General Staff, who joined Yair Lapid’s Yesh Atid. Yet the plethora of emerging parties does not seem to reflect a commensurate plethora of emerging ideologies. Indeed, far more is unknown about what the parties stand for than what is known. Thus, in registering his Israeli Resilience party, Gantz declared its goals as: “the ongoing foundation and strengthening of the State of Israel as a Jewish and democratic state in the light of the Zionist dream as expressed in the Declaration of Independence, and through the establishment and redefinition of national priorities in the following areas: education, national infrastructure development, agriculture, law, internal security, social welfare, peace and security.”—which scarcely any of the Zionist parties competing in the elections would oppose! Sadly, therefore, it appears that the upcoming elections will not be a battle of ideas, ideals and ideologies but of egos, not a struggle to advance principles, but to attain positions. And when position is the overriding goal, principles are jettisoned along the wayside. This has been a recurring phenomenon with generals-turned-politicians. Thus, Rabin—against his better judgement—capitulated to the pressures of the Left-wing party to adopt the Oslo Accords; Sharon sacrificed Gaza—despite articulating precisely what the results would be—in the hope of appeasing the Left-leaning legal establishment regarding charges of malfeasance on his part; and Barak caved into pressures from Left-leaning civil society protest groups to abandon South Lebanon to Hezbollah. Likewise, there is Moshe Ya’alon, once a leading figure in the Likud, and even served for five years as vice-premier to Netanyahu without any apparent discomfort, either moral or ideological, until he was replaced as defense minister in 2016—when he suddenly discovered the glaring deficiencies of both Netanyahu and the Likud. Since then, he has scoured the country, excoriating both the man he served under and the party of which he was a member—trying to persuade the electorate that there is no more urgent imperative than to replace them at the helm of government. Of course, after almost 13 years as prime minister, there may be many reasons why a change of leadership is called for. But invoking a disastrous incumbency by Netanyahu is not one of them. To suggest that it is, is both disingenuous and detrimental. In this regard, I am far from an uncritical apologist for Netanyahu. Indeed, I have, in the past, even called for his resignation. However, it is undeniable that in many ways, he has been a truly transformative leader. Under his stewardship, Israel has become one of the best performing economies in the world—with GDP per capita breaching the $40,000 mark for the first time ever in 2017, up sharply by almost 45% since 2009, when he was first re-elected after losing power in 1999. He drastically reduced Palestinian terror from the horrific levels he “inherited” from the Rabin-Peres era—and, despite occasional flare-ups, he has largely managed to contain it to hardly perceptible proportions—certainly nowhere near the grisly scale that prevailed under his predecessors. In terms of foreign policy, he has produced remarkable success. He managed to wait out the inclement incumbency of Barack Obama, emerging largely unscathed—despite the undisguised antipathy between the two men. His views on Iran and its perilous nuclear ambitions have been embraced by the Trump administration. 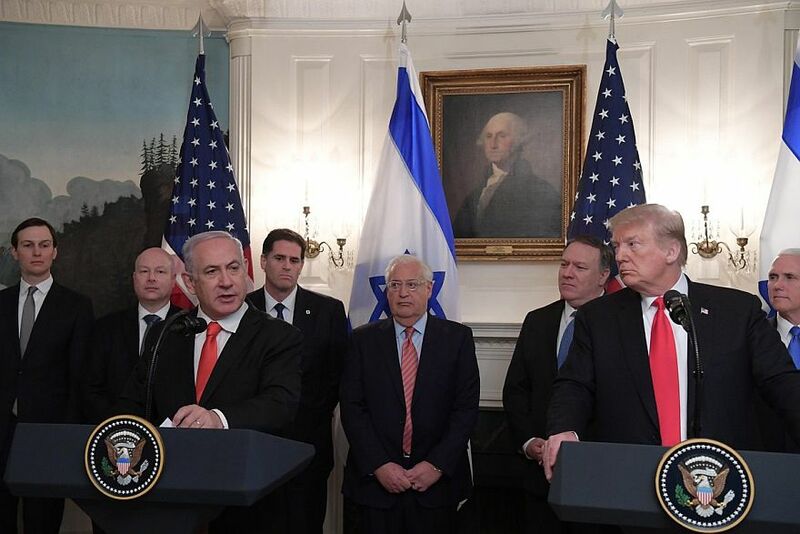 He has managed to initiate far-reaching changes in Middle East politics, with increasingly amicable—albeit, as yet, only semi-overt—relations with important Arab states, inconceivable several years ago, while sidelining—or at least, significantly reducing—the centrality of the intractable “Palestinian problem”. Whether any former high-ranking successor could match this performance is, of course, not impossible, but is certainly open to question. After all, while our senior military officers deserve great credit for their years of sacrifice, devotion and daring, civilian leadership calls for a substantially different skill set from military command. The voters will do well to bear this in mind!